BY the end of the day, on average, six Australian babies will have been stillborn. It's a rate that hasn't changed in more than two decades, despite decreasing deaths in other western countries. Earlier this year, the pain of these grieving families was laid bare in a senate inquiry that has sought to find out why Australia's children continue to die in utero and in labour at the same rate they did 20 years ago. Hundreds of parents made gut-wrenching submissions to the Select Committee on Stillbirth Research and Education, detailing the deaths of their children and patterns of care - how few of them were warned about the risks of stillbirth during prenatal care and how the medical care in the aftermath of their loss was often insensitive. As the world marks Pregnancy and Infant Loss Awareness Month this October, we spoke to some of the parents who appeared as witnesses before the senate inquiry. Warning: This story contains images of stillborn children and may be distressing to some readers. I remember sitting on the bed holding my bump and wishing it would move. I had to stay the night with a living baby in the next room and it was torture. - Names withheld. Stillborn in 2014. Elliott Vowles was born in a Darwin hospital on October 28, 2016. He weighed 450 grams. He was 21 weeks old. He never breathed, or opened his eyes. In the five days leading up to his death, his mother Stevie experienced a medical condition known as preterm premature rupture of membranes - her waters broke months before they were supposed to. In a full-term pregnancy, the membrane ruptures shortly before labour begins. But Stevie was only in her second trimester when her waters broke. Over four days, the amniotic fluid that protected her son in the uterus leaked out. Labour began just a few weeks before Elliott was old enough for medicine to save him. In her submission to the senate inquiry, Stevie laid out the heartbreaking moments when the family learned their son and brother wouldn't survive his birth. They were told over the phone that Elliott would probably be born, and would die, over coming days. "How do you deliver a healthy baby who is kicking, when you know their birth will kill them?" Stevie wrote. "We were advised that he may be born still or alive, in which we would just have to hold him until he died." 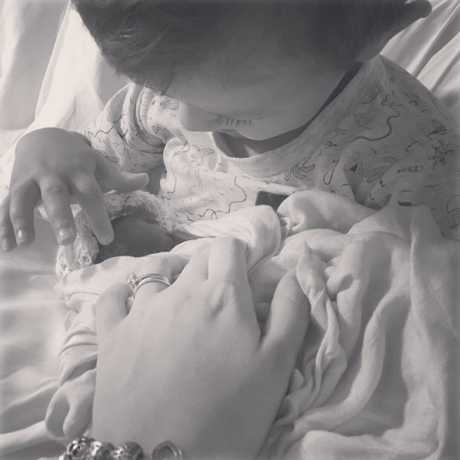 Stevie spoke to News Corp about Elliott's death and the trauma of delivering a silent child in a maternity ward filled with the screams of newborn babies. "It can't be described, how devastating it is," she said. "While I was in labour we were hearing babies crying." Stevie stayed in the hospital's maternity ward for three days after Elliott's death. His body was kept in a cuddle cot. The speciality cots keep the bodies of stillborn babies cool so their family can spend precious days with them before a funeral. Many of them have been donated to hospitals by groups of grieving parents. Elliott's brother and sister, aged 7 and 4 at the time of his death, got to meet him during the three days in the cuddle cot. Their experience and that of her husband Adam is part of the reason the family submitted to the inquiry. She said access to bereavement care desperately needed to change. "You're completely alone," she said. "You just go home and are expected to go on with life." 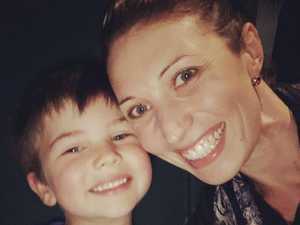 Moments from the outside world compounded their grief - her husband Adam was asked by his employer when he would be coming back to work while he was planning Elliott's funeral. And five days after Elliott's death, the hospital phoned Stevie wondering why her baby had not been given a newborn hearing check. "I had to tell this person our baby died, so no we won't be needing a hearing test," Stevie wrote in her senate submission. Bereavement care for fathers is a key issue she'd like to see change in response to the inquiry. "They're just not acknowledged as being fathers to these babies," she said. Elliott's siblings have gone through grieving their brother in different ways, and at different times. They have both accessed therapy, which she said was not subsided for childhood grief in the way it is for mental health issues. Her son, now aged six, continues to deal with separation anxiety and the fear that his family members won't come home, the way his brother never came home. "They get really angry if I say I have two children in the line at the shops," Stevie told News Corp.
"They're really really protective of his memory. "They want to talk about him all the time." Elliott Vowles was stillborn in 2016, just a few weeks before he was classed as medically viable. The effects of Elliott's death have grown gentler over time but remain with the family. Earlier this year, Stevie closed down her business Little Lamb. The baby boutique store became 'four walls of triggers'. She stepped away from running the business for months after Elliott's birth, hoping it might become easier to be surrounded by newborn clothes and toys. "It just never became easier," she said. "It was a necessity (to close)." Stevie said the inquiry gave her hope for the families and children who may face the prospect of stillbirth in the future. She made the flight from Darwin alongside Adam to appear as a witness at the inquiry's public hearing in Brisbane. "It's made me hopeful that change can occur," she said. "I'm really grateful to have been a part of it." She has advocated for a national approach to maternity care that includes enforceable guidelines, especially on delivering bad news. Three weeks after my daughter passed away, I received a call from the hospital saying that my daughter was due for a vaccination as she had not received it. Name withheld, mum to Hannah. Stillborn in 2015, aged 29 weeks. It will be months before Australia sees the outcome of the inquiry, but the fact it exists has given hope to grieving parents like Stevie that change will come. A common theme among the more than 260 submissions was the need for conversation - to speak openly and frankly about stillbirth and to educate parents about the risks. The inquiry has until the second sitting Thursday of 2019 to deliver its report. It began on March 27 2018, during the first appearance of new senator Kristina Keneally. The former New South Wales premier took her seat in the federal Senate in March and immediately promised to make stillbirth her political priority. Her daughter Caroline died in 1999. "She changed me forever," Keneally told the Senate. "She enlarged my understanding of love and loss, and she taught me to survive." 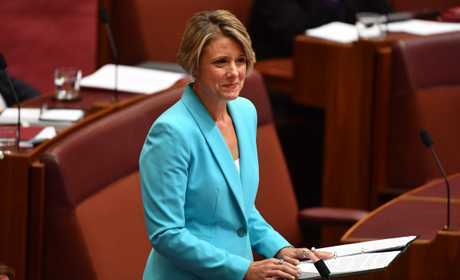 The senate voted to hold the committee inquiry that day, and in her maiden speech Keneally described Australia's rate of stillbirth as a national health crisis. "Twenty-two hundred babies in Australia are stillborn each year. 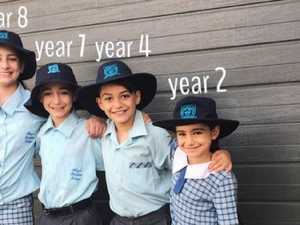 That's six babies a day - six babies who die every day in Australia. Surely, we can do better than this as a nation," she said. You feel no one remembers the child that never came home, apart from a cherished few. No one really asks how you are, or talks about your child. - David, dad to Percy. Stillborn in 2017. 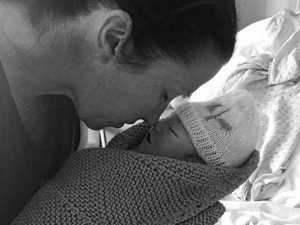 MIDWIFE Paula Dillon knew nothing about stillbirth before the birth, and death, of her second daughter Annabelle. Despite working in high-risk obstetrics settings, she had never been trained in caring for pregnant women whose children had died. Her first pregnancy, with daughter Grace, had been relatively routine. And until the last two days of her pregnancy, so had Annabelle's. None of her primary carers or even her midwifery teachers had ever mentioned stillbirth. "I had no idea that stillbirth is the leading cause of infant death in Australia," she told the senate hearing. "I had no idea that Australia's stillbirth rate is double the national road death toll or that it is far more common than SIDS, and I was a midwife." Annabelle died at the age of 41 weeks and 6 days on May 21, 2005. Sometime before her birth, she suffered a rare condition known as massive idiopathic feto-maternal transfusion. Her blood supply was spontaneously lost into her mother's circulation, killing her. 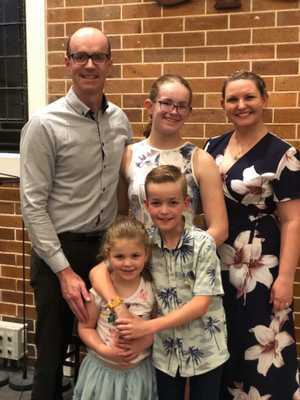 "It is unpreventable, undetectable and untreatable," Paula told News Corp.
Paula and her husband didn't discover their daughter's condition until a routine cardiotocography test to record Annabelle's heartbeat. By the time of the test, the child's heart had already stopped. She was born still one day later in a maternity ward of a private hospital in Melbourne. Annabelle Dillon was stillborn in 2005. The aftermath of Annabelle's death utterly changed the course of Paula's career. Delivery rooms became too confronting, and she returned to work as a nurse working primarily in surgeries. At the same time, she began volunteering at universities. She told Annabelle's story to classes of would-be midwives, some of whom later met and recognised her at events and conferences. She now regularly teaches midwifery students and paramedics at University of Sunshine Coast about stillbirth and how to help bereaved parents. She is also the Queensland educator for the charity Still Aware, and completed a Masters in Midwifery in 2014 exploring the care and treatment around decreased fetal movement in the final stages of pregnancy. "I realised there was a gap in midwifery education," she said. "It was great for my healing, and to speak Annabelle's name. "It helps midwife students not to be afraid. "Annabelle made me a teacher." In the years since Annabelle's death, Paula also fell pregnant another five times. The first ended in miscarriage at 10 weeks. The second, at 14 weeks. The third, a girl named Bethany, died at just 17 weeks old in June 2007. Though not legally classified as stillborn, the family refers to Bethany as their second stillborn child. "That's how I feel Bethany was," Paula said. She returned to work as a midwife in 2008. Two years later, she fell pregnant again. Elijah was their 'one last shot' at having another living child. He was born healthy in 2010. She calls him her sunshine boy. It it a personal adaptation of the term rainbow child, used sometimes by bereaved parents who have a living child after a pregnancy loss. "He healed me in ways I can't wait to tell him about when he is older," Paula said. "I felt broken as a woman." Then in 2013, after moving up to Brisbane, her 'surprise Queenslander' was born. Lucy, who was Paula's seventh pregnancy, is now approaching her fifth birthday. Paula's place in stillbirth education has helped Australia's next generation of midwifes deal with the fear that surrounds stillbirth even among medical professionals. "This is where this senate inquiry comes in," she said. "People are just scared of stillbirth. They're scared of talking about." "Thirteen years ago, fourteen years ago… I wouldn't have talked about it." She has echoed calls for mandated standards of care, and believes bereavement midwifes should be accredited through a training program. Paula has also advocated for better education for pregnant women on seeking medical care for decreased fetal movements and on side sleeping in late pregnancy. "We are never going to eradicate stillbirth," she said. "It's about... how can we make the best experience of the worst day of their life?" "When you are given that support, it definitely makes that grieving easier." That day was a gift. The single only day we would ever hold our first-born daughter Daisy. - Emma, mum to Daisy. Stillborn in March 2017, aged 27 weeks and 4 days. ABOUT 40% of parents who experience stillbirth, such as Ruth Steinbring and Adam Cowell, will never find out why their baby died. 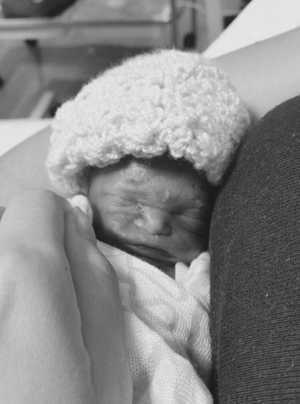 Earlier this year, the Toowoomba couple lost their son Sandy at just 20 weeks old, the legal cutoff to be classified as stillborn. They were told Sandy had passed away several weeks earlier, but his death wasn't caught until the routine scan. He was born on April 8, 2018 at 20 weeks and four days old. Both Adam and Ruth appeared as witnesses at the inquiry's Brisbane hearing, to tell Sandy's story and urge for change in the way stillbirth is treated, researched and discussed. "For us, it was very important that we were required by law to register our son's birth, and that there are official records of our son's birth," Ruth wrote in her submission. "We understand that there needs to be a cut-off point in the law, however had we found out a week earlier that our baby had died, we would not have had nearly as much support available to us, nor would we have had a birth certificate and official records that my daughter had a sibling." The couple has allowed News Corp to write about Sandy's death. "We think the main thing that needs to change is opening up the public discussion and conversation about stillbirth, because nobody talks about it until it happens to you," Ruth told the Brisbane hearing. Adam also spoke as a witness, and described the way fathers are unprepared for the possibility of stillbirth. "Personally, since losing Sandy I have realised how important it is for dads to be health-ready for babies, even healthy babies," he told the inquiry. "There should also be no excuse for dads missing ultrasound and other medical appointments during pregnancy. I regret missing a number of early ultrasound scans and medical appointments due to work commitments. "I would also hate to think how my relationship with Ruth would have been affected if I had also missed the 20-week scan." The couple decided not to have an autopsy done on Sandy, a decision that later formed part of their submission. "We don't have a clear reason why Sandy died," Ruth wrote. "Perhaps if my husband and I had been aware of the high rate of stillbirth in Australia and had talked about autopsy (before we found out our baby died), in the same way organ donation is discussed (before a person dies), we both may have been in a position to agree to an autopsy, which may have meant further data about our son added to existing data registries available to researchers." Not a day goes by that I don't think of them, and not a week passes that I don't cry. - Jonathon, a GP and dad to identical twins Henry and William. Stillborn in February 2017. Stories like those of Sandy, Elliot and Annabelle are common amid the more than 200 submissions to the senate inquiry. Some parents lost their children only months ago, and have braved the grief to help shape the future of Australia's approach to stillbirth care and research. Some lost their children decades ago. 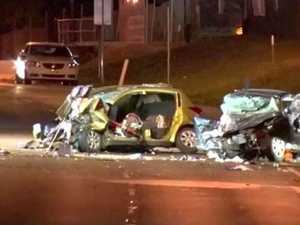 One woman wrote her daughter would now be 33 years old had she survived. Like many other parents, Victorian MP Jeff Bourman applauded the inquiry for bringing light to a topic so often hidden. His son Matthew was born still on February 3, 2017. Jeff and wife Nicole had been trying to have children for 17 years before Matthew's death. "We lost our future in that instant... I was looking forward to sleepless nights, changing nappies and generally easing a little individual into life and trying to make them a good, thoughtful, decent person," he wrote in his submission. "All gone. We both still suffer from that loss. "If nothing else, I applaud the inquiry as it raises the issue at perhaps the highest level possible in our country." Want to know more? Visit the inquiry website. October 15 will mark International Pregnancy and Infant Loss Remembrance Day.